In Québec, 30% of undergraduate computer science students are women; this number drops to 15% at the doctoral level. The situation is similar in engineering, where women represent just 20% of students. Joelle Pineau, an artificial intelligence researcher and professor in McGill University’s School of Computer Science, deplores the fact that these figures have hardly changed since the early 2000s when she was completing her doctoral studies in robotics. What is it that deters women from entering these fields and, above all, from pursuing their studies for a career in research? 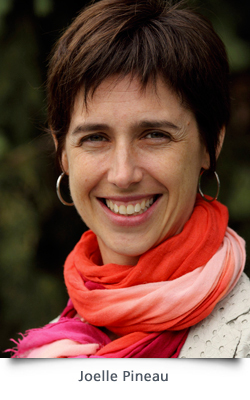 Aside from the somewhat dry nature of computer science, engineering and mathematics, which may well scare off some students, Joelle Pineau believes that young women lack inspiring role models of female researchers who have succeeding in reconciling successful careers with fulfilling family lives. Thus, female students often hesitate to pursue doctoral studies, as they have the impression that a career in science will come into conflict with their plans for motherhood. But Joelle Pineau firmly believes that women can be researchers too. “The university environment lends itself well to reconciling work and family because of schedule flexibility,” she says. “As long as you put in the time and energy needed to make it happen, it’s quite feasible!” The robotics specialist is living proof: her career as a researcher, professor and co-director of the Reasoning and Learning Lab did not prevent her from having… four children! And vice-versa. Her secret? Set herself a schedule and stick to it! And so, from 8:30 to 4:30, the scientist studies automatic learning algorithms, series of mathematical operations that are able to make predictions or decisions based on data captured in real time. Although technical and abstract in nature, her pet subject takes on its full meaning when it enables people with decreased mobility to get around easily in the hallways of a busy shopping centre. Indeed, Joelle Pineau and her colleagues at Polytechnique Montréal and the School of Rehabilitation at Université de Montréal have equipped a wheelchair with sensors, cameras and a computer. These devices record and analyze the movements of people and the presence of obstacles in real time, while Joelle Pineau’s algorithms render the wheelchair “intelligent”: it is able to learn from its environment and adapt, for example, to crowds of shoppers.